We search over 10 partners to find you the most affordable college textbooks and other school books. 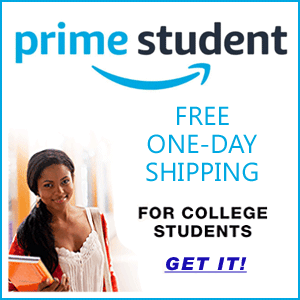 College students know us as the #1 source for cheap textbooks, as well as discounted books online, whether they are new or used, for sale or for rent. For the past 15 years Affordabook has helped students save thousands of dollars by finding the cheapest textbooks for sale and for rent online. Affordabook works for your favorite books and novels too! If you are looking for a best-selling novel or any other book, our website can help you find the best price for it in mere seconds. 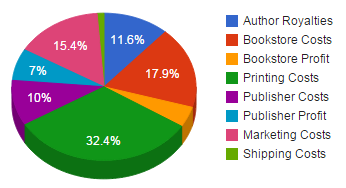 No need to visit 10 different online bookstores to compare prices, we'll find the cheapest price for you instantly. Students are always looking for bargains and discounts. Visit our discounts page for the latest deals. Textbooks aren't cheap. The cost of school books for a full year of college and university can be over $1,200.00, whether you attend a community college or an expensive ivy league university. One reason for the high cost of textbooks is specialization. Another reason, is that some professors want their students to purchase their own research books, which are usually under contract through a publisher in much lower numbers than what may be found at a mainstream bookstore. And further, limited edition printings required by some courses, may cost more because the press run is smaller than what is normally done by large publishers. Also, some universities, although diverse in their programs, have set curricula every few years, and have set a listing of special titles students must purchase for each class. And within these set curricula are several text listings that stay in the reading list for one to ten years at a time. One way to save on your textbooks, is to compare prices amongst many web sites and buy or rent them from the cheapest textbook websites. While textbook prices have dropped around 15% over the past three years (as of March 2019), prices are still too high for the average college student. That's where Affordabook comes in, we compare prices at the most trusted and reliable textbook stores to help you save some dough! To get started do a search at the top of the page. So, if you are wondering how to get cheap college textbooks and how to find cheap textbooks, Affordabook can help. Go Green - Buy Used Books! College students are always needing to save money on everything, not only textbooks, so when it comes to car insurance, they have options to save on rates. Learn how. I know, the thought of life insurance never enters a college student's mind, but there are some important reasons why they should consider it. Especially if the student has large student loans. Read more here. Click Here for the latest discounts available for college students. Set your search and newsletter preferences. Create a Watched List of books, so when a chosen book reaches your target price, we'll email you with a link to purchase the book.